Comic Book adaptations are breaking bank at the box office, and this summer got off to a rousing start with Avengers: Age of Ultron, which has taken in over $1.3 billion worldwide after one month in theaters. With over 40 superhero movies coming in the next 5 years from Marvel Studios and Warner Bros./DC alone, the cinematic landscape is more flooded than ever with the ultra-popular genre. It's hard to fathom a time when big-budget, highly-anticipated superhero movies never happened. It wasn't even that long ago. 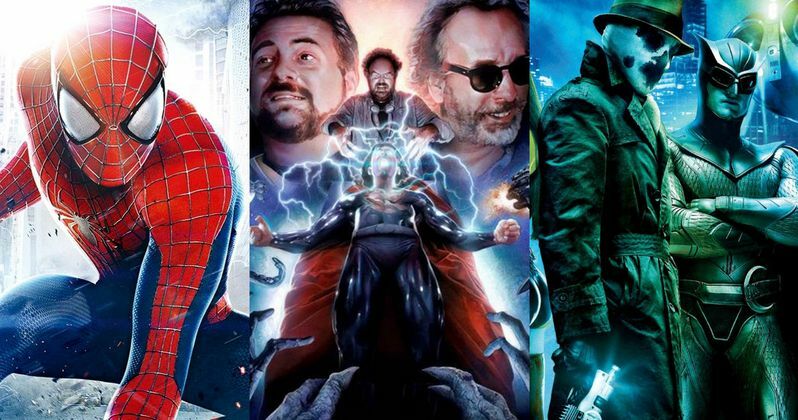 Feeling nostalgic, we felt the time was right to break down a few superhero movies that never saw the light of day, most of which had top-notch talent attached on both sides of the camera. Today, we look at 9 Superhero Movies That never Happened!